Microsoft Exchange Online provides the benefits of a cloud-based email service with the robust capabilities of an on-premises Exchange server deployment. Your staff receive large mailbox sizes with anywhere access to their data across PCs, the web, and mobile devices. 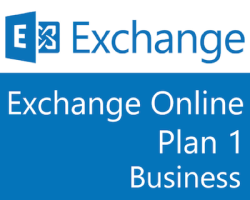 Get business-class email as either a standalone Exchange Online plan, or as part of an Office 365 Business plan that includes Office and more. Services type Please select the service package that best corresponds to your needs. Last name * Required field. Please enter last name. Maximum 50 characters allowed. Comments (expected user amount) Optional information. Please enter your message to our support department. Get the new Exchange as a hosted service from Microsoft or as a part of an Office 365 Business Premium plan that includes SharePoint and Skype for Business and more. All workers can benefit from productivity tools, including those without a desk or office, such as shift or retail workers, or any worker who uses a shared PC. Office 365 kiosk plans are designed to provide services to improve communication and collaboration for these workers. Exchange Online is one of the product under the umbrella of Office 365, and it’s included in many Office 365 plans that include email service. Exchange Online is also available for subscription on a standalone basis for users who just need a hosted Exchange service without other unnecessary add-ons. Microsoft Exchange Online is an email, calendar, and contacts solution delivered as a cloud service, hosted by Microsoft or Partners. It is built on the technologie called Microsoft Exchange Server. Exchange Online provides end users with a familiar email experience across PCs, the Web and mobile devices, while giving IT administrators or small businesses and professionals web-based tools for managing their online deployment. Microsoft Exchange is available both as on-premises software and as a hosted service with Exchange Online. Customers can also choose to combine both on-premises and online options in a hybrid deployment. Microsoft Exchange Online is a hosted email, calendar, contacts and tasks solution that delivers the capabilities of Microsoft Exchange Server as a cloud-based service. Exchange Online is essentially based on Microsoft Exchange Server, hence it supports most if not all features of on-premise Exchange Server including full integration with Active Directory, group policy support, and familiar messaging experience across various forms of PCs, computers, Web, smartphones and mobile devices. Exchange Online helps protect your information with advanced capabilities. Anti-malware and anti-spam filtering protect mailboxes. Data loss prevention capabilities prevent users from mistakenly sending sensitive information to unauthorized people. Globally redundant servers, premier disaster recovery capabilities, and a team of security experts monitoring Exchange Online around the clock safeguard your data. Maintain control over your environment while gaining the advantage of hosting your email on Microsoft servers. Manage your organization efficiently with the Exchange admin center, an easy-to-use, web-based interface. Run In-Place eDiscovery across Exchange, SharePoint, and Skype for Business data from a single interface through the eDiscovery Center. It’s easier than ever to provide your users with the business email they need to stay productive. Automatic patching eliminates the time and effort of maintaining your system. Give your users an In-Place Archive, so they can keep all their important data in one place. And provide them with anywhere access to email, calendar, and contacts on all major browsers and across devices. Integration with Outlook means they’ll enjoy a rich, familiar email experience with offline access.